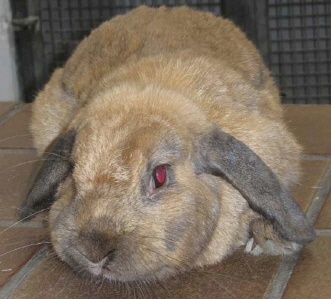 This is JCB a 3-4 year old spayed female lop eared rabbit. She originally came to us in October 2006 as an unclaimed stray. She was successfully rehomed with a neutered male rabbit but unfortunately was returned to us as her companion was killed by a fox. JCB is a friendly, laid back rabbit looking for a home with a neutered male rabbit for company.